A portrait of the ruler as a young pool shark. Or at least a billiards enthusiast. “It has often been assumed,” writes English royal-watcher De-la-Noy, “that in Victorian and Edwardian England billiards was a game played exclusively by men, usually after dinner, when they could smoke as well, but Victoria learned to play billiards at Osborne, and she roped in some of her ladies to play with her after lunch.” There lies the essence of Victoria, the diminutive German who ruled over England for so much of the 19th century: she did the unexpected, and at unexpected times, pretty much as she pleased. 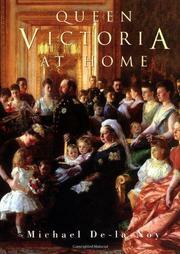 This is a curiosity, inasmuch as it focuses not on Victoria’s decided contributions to the making and administering of the British empire and other matters of governance, but instead on her management of her own household, affairs, and time—an overlooked topic in general, and probably for good reason. Her training in such things came early, through what turns out to have been a rather unhappy childhood; as a teenager, she lived according to what was called the “Kensington system,” by which she was made to account for every second of the day and was allowed only meager meals of “bread and milk served in a silver bowl.” Small wonder, writes De-la-Noy, that Victoria “developed a greedy appetite as an adult.” Indeed, some of the best moments here recount vast meals the queen and her courtiers enjoyed, with groaning boards of “fowl with white sauce, good roast lamb, very good potatoes, besides one or two other dishes . . . ending with a good tarte of cranberries.” Though they left her rotund, it’s clear from De-la-Noy’s account that Victoria worked hard for those sumptuous meals, for she took an active and informed interest not only in the running of the empire but also in every minute detail of the household around her, and she seems never to have enjoyed a minute’s rest throughout her long reign. Historians won’t find much here, but general readers with an interest in Queen Vickie will enjoy De-la-Noy’s account, however incidental.